It is of course DAR Texas week, and how we could cover this week without discussing one of the best artists to come from the state, Erykah Badu. The Dallas Native has released 5 official albums, a live album and has appeared on soundtracks, and has built up a decent catalog of music. Today, we sit and discuss her best songs so far as she prepares to release an upcoming mixtape. Let's get right into it. -I had to start off with the most obvious song from her. Off her Live album, this track is a hilarious blend of her comedic side with her sassy side. 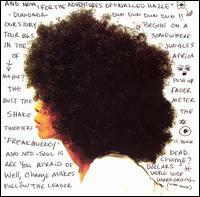 -Her first actual single from the Baduizm album, this was a solid song that dropped wisdom in between jazzy grooves. -Another classic off Baduizm, this was a solid track and one that remains a top track on Baduizm. -An absolute classic. Badu sings about her man and his inability to stay legit in this dope song. The video is dope as well, shoutout to 3Stacks. -Temptation. Something we all deal with. Badu speaks about meeting someone she wants to explore with, but is already tied down and won't cheat or leave her man. A dope song and concept. -My absolute favorite Badu song period. Jelly agrees it is one of the best as well. The production, the lyrics, the vocals and the infectious hook. Truly a classic and one of her best period. 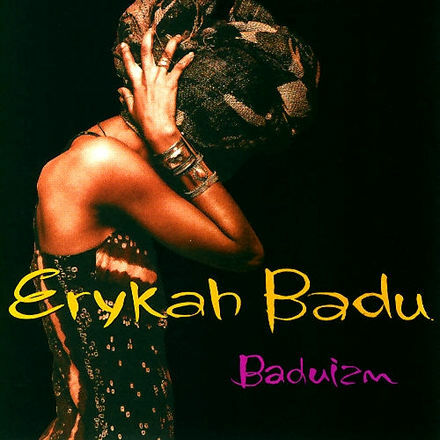 -Another Baduizm classic, this track is without a doubt one of her best as well. Smooth vibe. -One of my absolute favorites as well, this song is a definite classic and the production is flawless here. Beautiful vibe. -Another classic track off her best album(IMO) Mama's Gun. All around dopeness. -Jelly picks this one and says she just loves the sound and feel of this one. Truly a great track. -One of her more underrated tracks also off the Mama's Gun album. A dope song. -Her duet with Stephen Marley, this was a mellow mood groove as both sing and profess their love on this beautiful track. -The big single off the Mama's Gun album, which is truly dope. There is a different version or 2nd version with the Dr Dre Xxplosive beat, but the original trumps all. -Jazzy production, smooth vocals and all around dopeness. How could you go wrong here? -Off her Worldwide Underground album, this was a definite solid track and was completely a perfect way to start the album. -The smooth jazzy groove of this allowed Badu to get reflective and talk about the things she used to love and how it used to be. -Another dope track off the Worldwide Underground album, this was a pick by Jelly. A dope one at that. -Another pick by Jelly, this track was extremely dope and a great addition on the Worldwide Underground album. -The Common assisted ode to Hip Hop is a solid track and a fun listen. One of her best singles for sure. 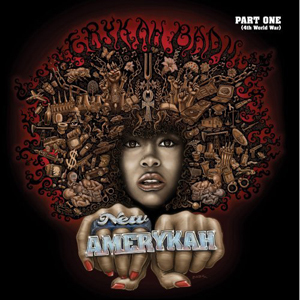 -I love the first part of the New Amerykah album series. This Madlib produced track is truly solid. -Another solid track from Badu off the album, this has a dope groove without a doubt. -The bumping production here and melody are truly undeniable. Badu makes another classic here. -One of Badu's best songs truly, this Georgia Anne Muldrow assisted track is likely the best on the entire album. -Armed with a concept, thought provoking lyrics and of course great production, Badu makes yet another dope track. -A dedication to Dilla, ODB, and more who may have passed on, this is truly a great song. -One of her more upbeat and fun tracks in sound, this 9th Wonder produced track is extremely dope. -A selection by Jelly solely, this opening track to part 2 of the New Amerykah series is a solid one. -The controversial video with the fineness of Ms. Badu walking all that glorious Dallas thickness down the street. The song itself was beautiful also. -One of her singles off the album, this was a solid track and featured a nice groove. -The Dilla produced track is one of my favorites off this album. A dope sound and melodic. -This Madlib produced scorcher is truly an underrated Badu track. The production is flawless and the song overall is perfection. -One of the best produced tracks on the album, this was yet another solid Badu track. One has to wonder: has Badu ever truly made a bad song? -Another one of her most solid songs, this 10 minute track is without a doubt rightfully on this list. -In what could be Badu's most party heavy track, the Bilal and Lil Wayne assisted track is complete fun and not the usual sound from her, thus the inclusion on the list. With more albums and a mixtape to come from Badu, this list will only keep growing for sure. Any songs you love that aren't on the list? Discuss them below in the comments.